My little girl is no longer quite a little girl. She turned 12 last week. I tried to tell her that she did not have my permission, but she argued that she really did not need it……le sigh. She did manage to clean her room in time to earn a birthday party. She had been told that she could not have a party until her room no longer resembled a trog’s den. Also, since the remaining guinea pig’s cage is in there, it was an appropriate statement. It is funny to realize how much more of a geek that she is than her friends. They are into Minecraft and Xbox so consider themselves gamers. Silly little childrens……. She got the usual preteen girly items from friends like nail polish and charm jewelry. 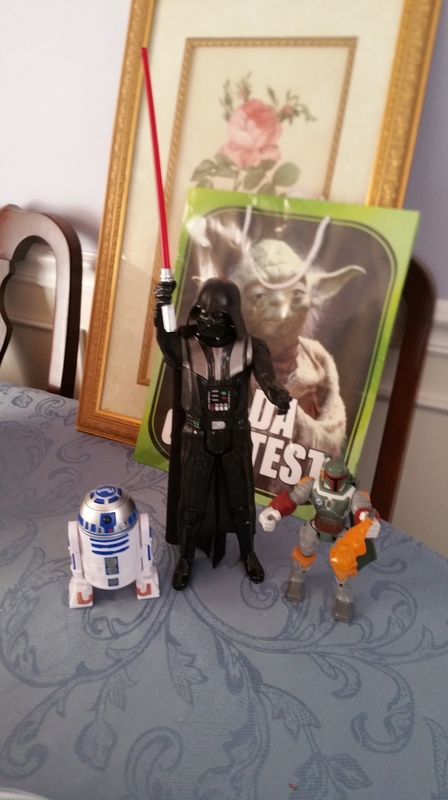 Then the family gifts started…..
She got Star Wars items from her aunt, uncle and cousins. 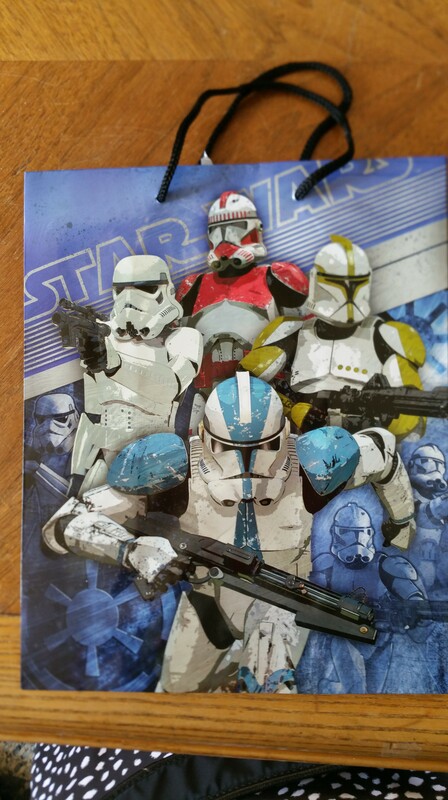 There were more Star Wars gift bags including one that we wrestled over. She won. I refused to cheat but am instead waiting for her to forget about it. Then I will steal it with stealth. It will make a great project bag for knitting. Perfect size for a project bag. It will be mine….. There was a Darth Vader, a Boba Fett, Star Wars mini Snack cup and a Bop-it RD-D2. The R2-D2 Bop-it game was immediately played by Gamer Child and I that night, much to Geekdad’s dismay. 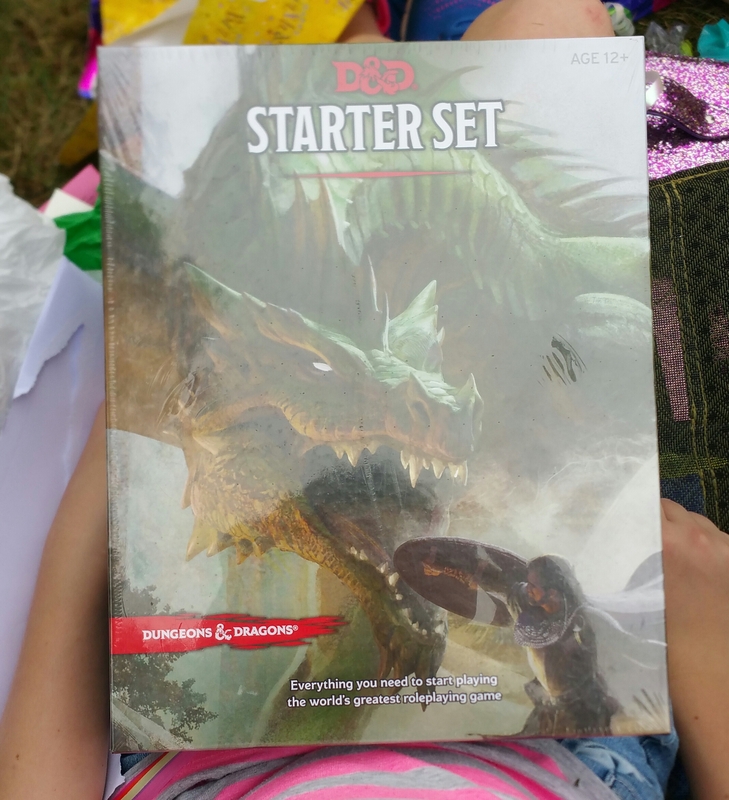 Then her gift from Pops, her grandfather, was the Dungeons and Dragons Starter Kit. She was beyond excited. She wanted to play right away, but we had to convince her that starting a campaign before cupcakes was not the way to go. Then our final gift. 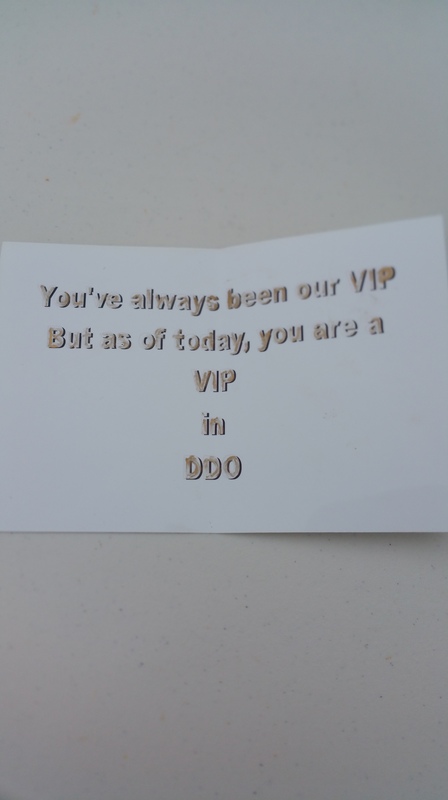 I handed her the card telling her that we had made her DDO account into a VIP account. She screamed and ran around the whole yard waving the card in the air like Charlie waving his Golden Ticket from Willy Wonka and the Chocolate Factory. And for her, this was her GOLDEN TICKET! This entry was posted in Uncategorized and tagged Birthday, DDO, Star Wars on September 18, 2015 by judyenaz.